Join us for a fundraiser in Marina Del Rey on Saturday, September 25, as a benefit for IBRRC and Heal the Bay to be held immediately following the Coastal Cleanup Day at noon. 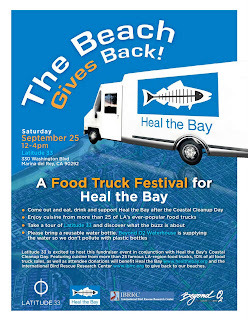 The Event, which is sponsored by Latitude 33, will feature cuisine from 25 of Los Angeles’ famous gourmet food trucks, 10% of all food truck sales, as well as attendee donations will benefit Heal the Bay and the International Bird Rescue Research Center to give back to our beaches. Open to the public, the September 25th fundraiser will be held from noon to 4:00 pm on site at Latitude 33 in Marina Del Rey. 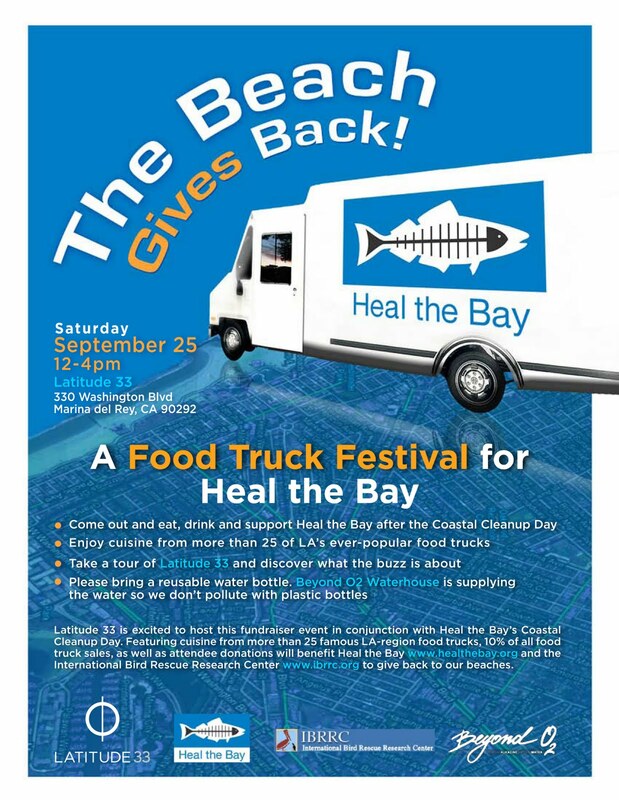 Celebrity TV Host Carson Daly, an avid supporter of Heal the Bay, will support the event with on-air promotion for The Carson Daly show that will be broadcast nationwide to request further donations for Heal the Bay and IBRRC. The ever-popular food trucks will be serving up delicious, varied bites satisfying all cravings from crepes, lemonade, dim sum, grilled cheese, hotdogs, shaved ice and tacos. Thanks to Beyond O2 Water on Main Street in Santa Monica is also a sponsor and is supplying water. If you love the beach, here’s your chance to give something back by taking something away: Help cleanup your local beach this coming September 19th at the California Coastal Cleanup Day. The cleanup day has been hailed by the Guinness Book of World Records as “the largest garbage collection” (1993). Since the program started in 1985, over 800,000 Californians have removed more than 13 million pounds of debris from our state’s shorelines and coast. The 25th Annual California Coastal Cleanup Day is Saturday, September 19, 2009 from 9:00 am to 12:00 pm. The Cosco Busan oil spill is nearly three weeks old. Crews are still searching for oiled animals and exorcising oil from beaches and rocks. 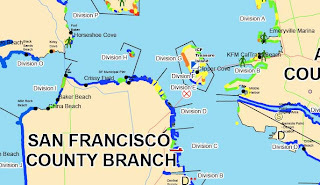 If you’re curious where the oil is being reported and where crews are working in San Francisco Bay, see the Unified Command’s online map.